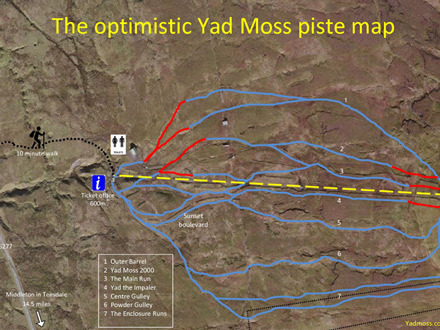 Yad Moss is located in Cumbria’s North Pennines, between Stanhope and Alston. Founded in the 1970’s, Yad Moss is operated by a passionate group of volunteers. The ski area has undergone a series of renovations over the last few years and boasts excellent piste-bashers, snow fences and England’s longest button tow, which transports several hundred skiers an hour up to an altitude of 725m. Beginners should be advised that it takes a certain amount of skill to use the tow, which travels quickly over uneven ground. Once at the top, skiers and snowboarders have a choice of up to several broad, well-groomed pistes up to half a mile long. Suitable for confident beginners and up, slopes are mostly gentle but do include several steeper areas. The ski area has a daylodge with toilets and a sheltered area but no catering facilities, so guests are strongly recommended to bring their own food and drink. There is no ski or snowboard equipment available for rent. Conditions are variable so be sure to check the website to see if the ski area is open before you head up. It is possible to buy a day ticket if you are not a member, but be warned that tickets sell out quickly on snowy days – it’s best to buy them in advance online. 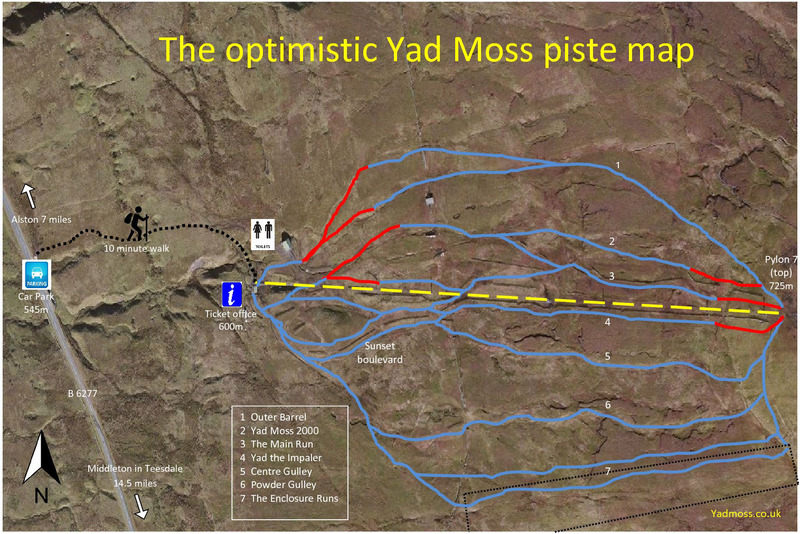 Yad Moss is comparatively easy to access but as with all ski areas in England, you should use caution while driving and check conditions before you go. Bring a shovel to help with parking. The tow is located just a short ten-minute walk from the carpark.